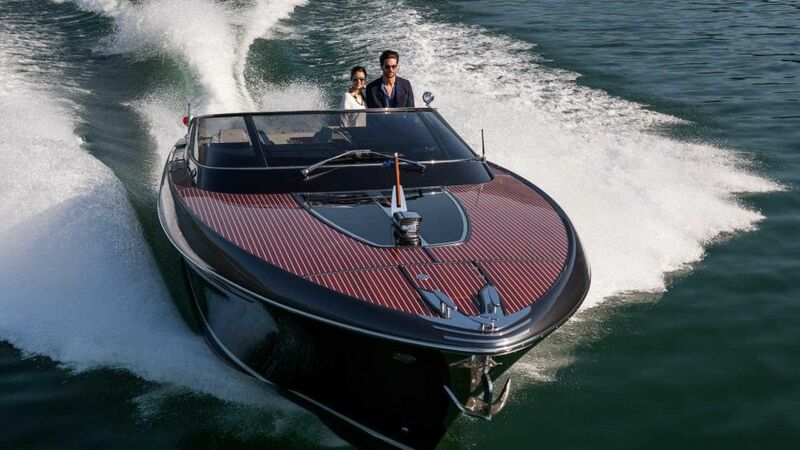 When it comes to cruising the water in style, most will tell you that it doesn’t get much better than Riva. Classic Riva speedboats have been the epitome of luxurious Italian Riviera style since the 1950s, with famous owners such as Hollywood stars and world dignitaries. 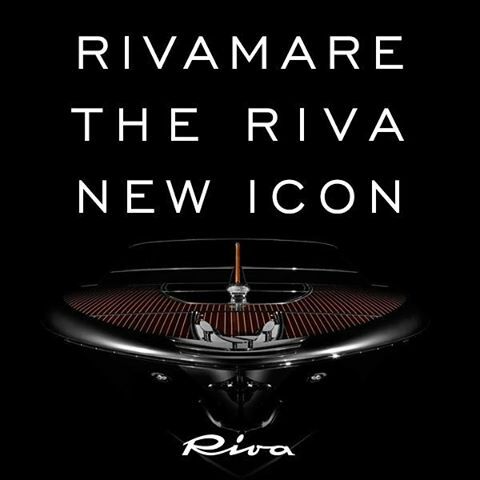 Now the legendary boatbuilder has come out with a new vintage-inspired vessel, the Rivamare, inspired by the sports car and taking luxury to the next level of sophistication. 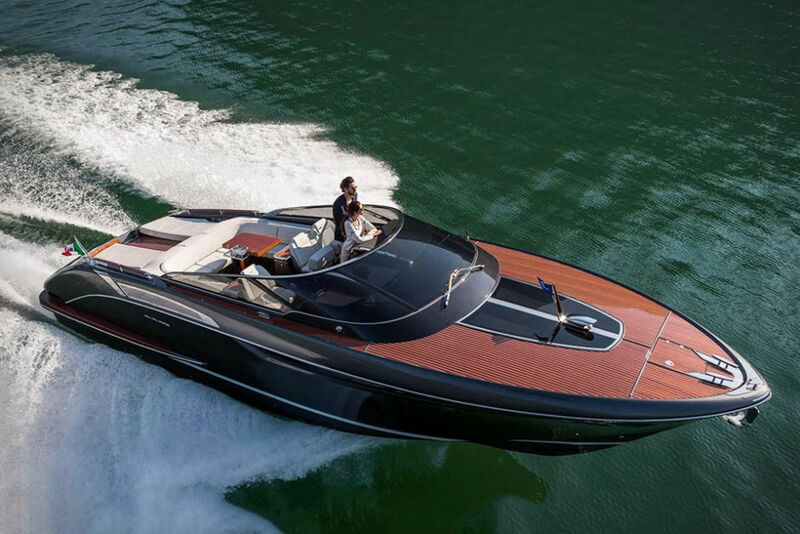 Measuring 39 feet long and 11.6 feet at its widest, the sleek lines of the 39-ft speedboat were designed by their partners at Officina Italiana Design, who mixes a sporty silhouette with Riva’s signature elements of luxury and craftsmanship. The Rivamare is one of those ‘if you have to ask’ boats. No published pricing, but endless features to make you dream. Dual Volvo Penta D6 400 engines help push the Riva to a top speed of 40 knots. Cruising speed is a head-turning 31 knots. The cockpit situated on the mahogany paneled deck features an innovative control system with joystick and docking mode functions. A rear hatch features mahogany steps that extend to form a “beach” area with direct water access for swimming or using smaller pleasure craft. Belowdecks you’ll find a gallery kitchen, bathroom with glass shower, and living area that converts into a double bed for sleeping and can carry up to eight passengers. 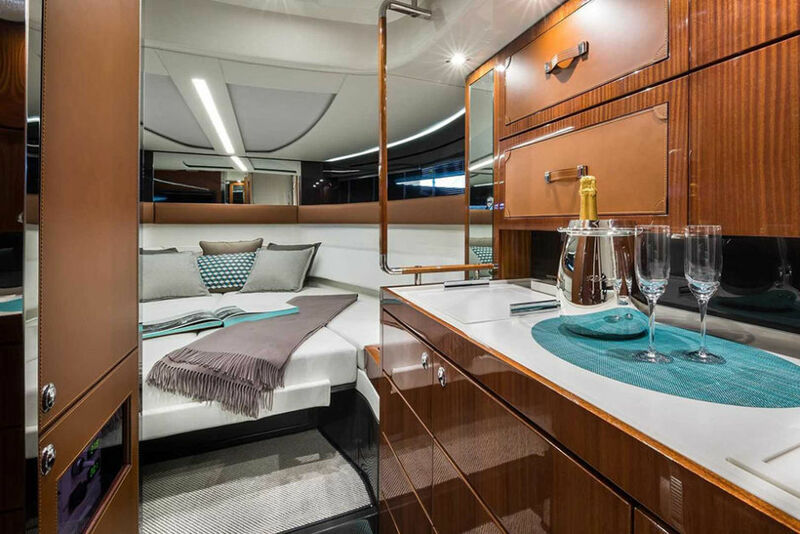 The Rivamare’s sleek and sinuous exterior is available in a wide range of color schemes, including Ice White and London Grey.